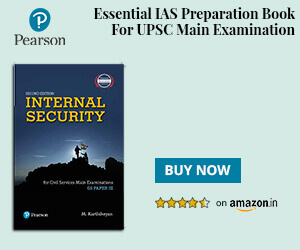 Strategy and guidelines for Security and Disaster Management Preparation for UPSC Mains Exam : UPSC Mains GS Paper 3 has specifically listed a new area : Security and Disaster Management. As there will be numerous situations in the life of a civil servant dealing with security and disaster management, the topic is of high importance. PS : Questions from this section will not only be analytic in nature, but also inquisitive about the knowledge and preparedness of the candidate in tackling critical situations. Identify the probable natural disasters in Indian perspective – Eg: Earth Quakes, Tsunamis, Landslides, Flood, Drought, Epidemics etc. Never forget Human induced disasters – Eg: Nuclear Reactor explosion, Dam collapse, Gas Leakage, Oil Spill, War, Terrorism, Extremism, Communal Carnage, Cyber Breakdown etc. Understand the national policy on disaster management. — Refer the linked document below. Understand the structure and functions of present disaster management authorities in the country – at national, state and district levels. – – Refer the linked document. Prepare notes on various proactive and reactive steps to be followed to tackle various disaster management situations. – – Refer the linked document. Last but not least, refer the online study materials and PDFs added periodically in ClearIAS.com which discuses topics entirely based on UPSC new syllabus. National policy on disaster management. Disaster management authorities in the country. IGNOU Notes on Disaster Management. IGNOU Notes on Cyber Security. India Year Book for Defense and Internal Security. Poor development and lack of growth opportunities is the primary reason for spread of extremism in India. Discuss. Apart from external factors, India’s security is challenged equally by internal factors. Critically examine. Latest developments in science and technology and new media has made combating terrorism a more difficult task. Critically analyze. Is money laundering a major threat to present day Indian Economy. Discuss the possible steps that can be taken to control it. Management of security challenges in border areas is a delicate but crucial area. What are the practical measures in this regard? Are Indian Disaster Management Agencies properly equipped to handle a major disaster. Critically analyze the strengths and weakness of Indian Disaster Management Framework. Is India becoming a repeated prone of cyber attacks? Analyze the vulnerability in the area. How equipped is India in combating a threat in terms of terrorism or war? Discuss the security machinery of India.